We are delighted to work with the following partners on many ECR initiatives which add considerable value to our members. ECR Asia Pacific (ECR AP) is an independent joint trade and industry body, which is co-chaired by representatives from the retail sector and the manufacturing sector. It promotes the use of Efficient Consumer Response techniques in Fast Moving Consumer Goods (FMCG) retailing to remove unnecessary costs from the supply chain and make the sector, as a whole, more responsive to consumer demand. ECR Brazil is an independent association committed to establishing ECR principles in South America. GS1 in Europe is part of the GS1 network, an international not-for-profit association with members in over 100 countries. It is dedicated to the design and implementation of global standards and solutions to improve the efficiency and visibility of supply and demand chains globally and across sectors. 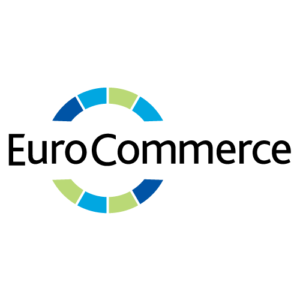 EuroCommerce is the voice for six million retail, wholesale and other trading companies. Its members include national commerce federations in 31 countries, Europe’s 27 leading retail and wholesale companies, and federations representing specific sectors of commerce. The Consumer Goods Forum is a global, parity-based industry network. The group brings together the CEOs and senior management of some 400 retailers, manufacturers, service providers, and other stakeholders across 70 countries, and reflect the diversity of the industry in geography, size, product category and format. AIM is the European Brands Association. It represents brand manufacturers in Europe on key issues which affect their ability to design, distribute and market their brands.AIM’s membership groups some 1800 companies of all sizes through corporate members and national associations in 21 countries.